I get so many questions on how to heal the digestion, and with good reason, disease begins either in the digestive system or the mind. 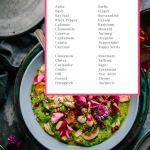 So I want to share a very powerful way to use herbs to your advantage. 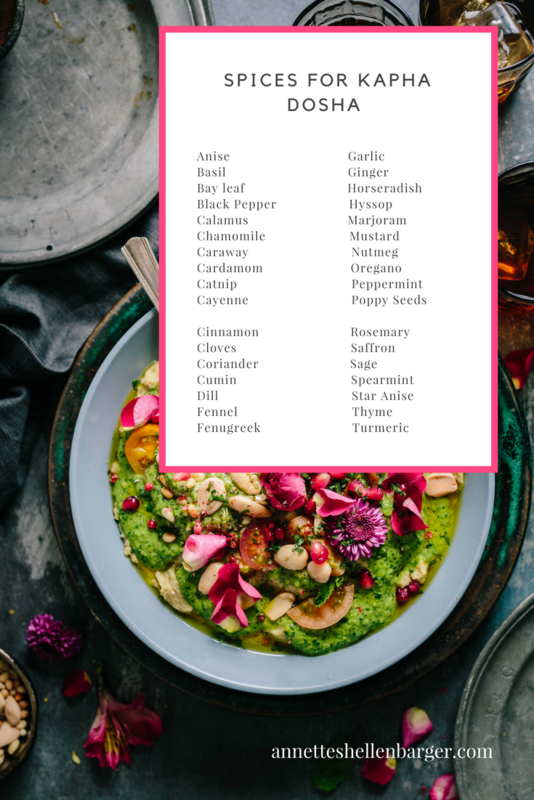 You can use herbs for prevention as well as with any digestive symptoms that you may be feeling, and when you combine several herbs together, the synergistic effect is even more powerful. 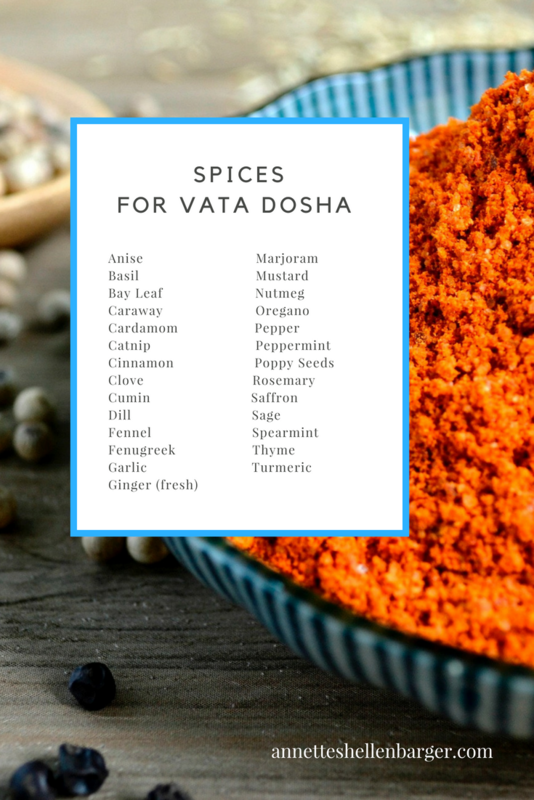 Below I have listed common digestive symptoms for each dosha (constitution). Use the appropriate constitutional chart I have provided for you below, according to the symptoms I have described. 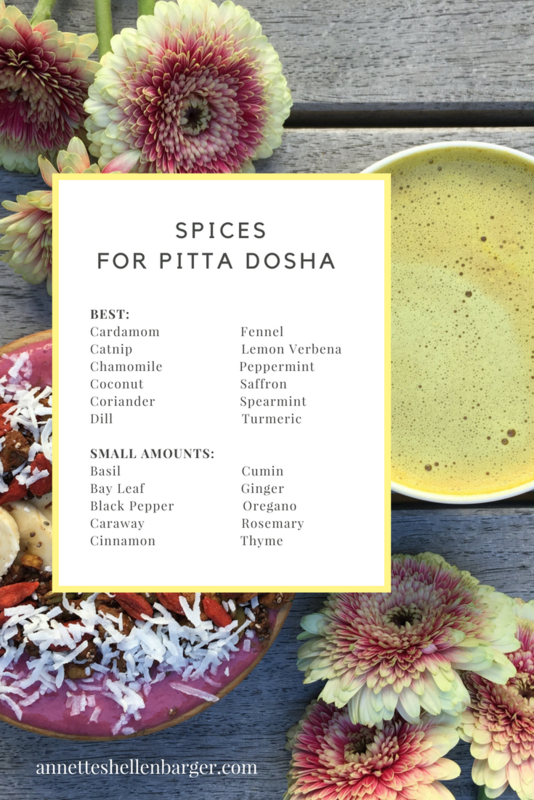 Start experimenting by using these herbs when you prepare your meals, as a tea, or sprinkle on top of your salads, veggies, or fresh pressed juices. For example, in order to help me better digest fresh pressed raw juices, I sprinkle ground black pepper or cayenne pepper on top of my juice and add ginger in with my greens before I press them into a juice. But you know what the best part is? These herbs also help to heal mental and emotional symptoms as well, such as anxiety, fear, anger, and lethargy. That’s right, herbs are POWERFUL! 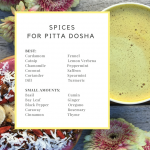 If you want to learn more on how to use food, herbs, and everything else that Mother Nature has provided for you (such healing through color and sound) to heal….and to live your best life (and so much more, of course) – you’ll be happy to learn that my program, Ayurveda for Life & Biz, is now open for 6 days. 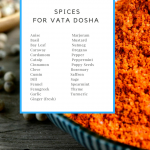 Learn how to use the powerful wisdom of Ayurveda to heal, stop accelerated aging, and get back to what REALLY works when it comes to food, lifestyle, and health. AND catch the course while it’s still being offered at 2017 prices. Or email me: annette@cynyoga.com to set up a time to chat. I would love to hear your vision, your goals, and lifestyle desires, and then see if my course is right for you.